Waffle On about Steptoe and Son Hello and welcome to this months edition of Waffle On. 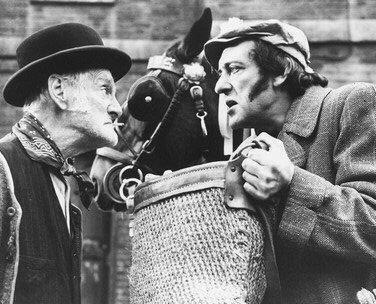 This month we talk about the brilliant 1960's comedy tv series Steptoe and Son. Brilliantly written by Galton and Simpson the series made stars of the two actors Harry H Corbett and Wilfred Brambell but also cursed them with the dreaded typecast noose. We as usual ask you love listeners to leave us reviews and comments on itunes and please do listen to the promos at the end of the show which include The Martians Are Here Podcast, Anomaly Podcast, Tin Dog Podcast, Knights of the Guild Podcast, Dirty Boxes Podcast and Take Him With You Podcast.